Talk to us about garage door replacement in Friendswood, Texas. 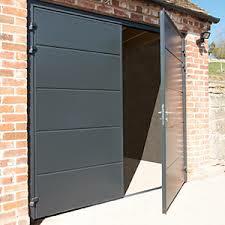 You can choose from an outstanding variety of garage doors. It won’t take long to set you with the style, color, design, and material of your choice. Then a trained pro will come out and install the new door for you. Your home will sparkle with curb-appeal. The garage is one of the focal points on your home. Let us make sure this area stands out for you. We hire experienced techs to treat you right. Choose our company to receive quality garage door replacement. At Garage Door Repair Friendswood, we are out to earn our customers’ respect. We work very hard to ensure every customer is completely pleased with the service they receive. It is always best to choose a skilled specialist to replace your garage door. You want experts that have plenty of knowledge about the different options available. Trained technicians will install your new door quickly and effectively. They will make sure it is operating correctly before they leave the area. This is the type of service we are committed too. That’s why we are a respected garage door replacement service provider in Friendswood. The techs we work with know how to replace a garage door. They have been providing this service for a very long time. We will send a tech to help you choose the right door for your home. You will be able to choose from outstanding materials like wood, steel, aluminum or glass. You may want a design with windows. You may prefer to leave this option out. We will find a door that matches the décor of your location. Don’t settle for less when it comes to old garage door replacement. Give us a call right now. Do the right thing and turn to us for Friendswood garage door replacement service. We will have a skilled specialist knocking on your door in no time. You can also call us for garage door repairs and maintenance options. Get quality service at a competitive price. Contact Friendswood Garage Door Repair and see what we can do for you.